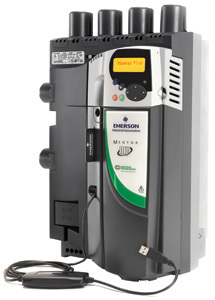 Mentor MP is Control Techniques' 5th generation DC drive and integrates the control platform from the worlds leading intelligent AC drive, Unidrive SP. This makes Mentor MP the most advanced DC drive available, giving optimum performance and flexible system interfacing capability. There are large numbers of DC motors in service throughout the world in various applications, the majority of which are easily capable of providing continued service. Upgrading your drive allows you to maximize the motor performance, enhance system reliability and interface digitally with modern control equipment using Ethernet and Fieldbus networks. Downtime is minimized as only the drive needs to be replaced. DC drive technology remains cost effective, efficient and is relatively simple to implement. For new solutions DC provides many advantages, especially for regenerative and high power applications. Our extensive expertise across a wide range of industries mean that we are the ideal partner for DC solutions. A wide range of option modules are available to allow you to customize Unidrive SP for your application. High performance programmable automation and motion controller with high speed I/O, CTNet and CTSync drive-to-drive communications. 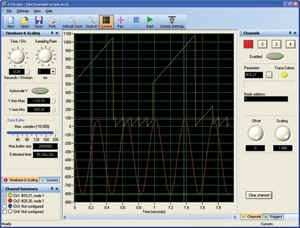 Programmed using SyPTPro development environment. 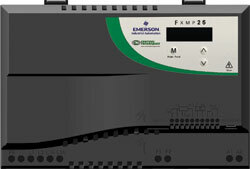 High Performance programmable automation controller for stand alone applications. Programmed using SyPTPro or SyPTLite development environments. Control Techniques' software suite makes it easy to access the complete feature set of our drives. These tools provide quick setup of the drive, optimize tuning, configuration back-up, programmable control and communications link set up. CTSoft is free of charge and can be obtained by clicking the download tab on this page. CTScope is free of charge and can be obtained by clicking the download tab on this page. SyPTLite is an easy to use ladder logic program editor, suitable for simple drive applications. SyPTLite is ideal for controlling basic logic and sequencing onboard PLC and with SM-Applications Lite V2 option module. SyPTLite is free of charge and can be obtained by clicking the download tab on this page. SyPTPro is a full featured automation development environment that can be used for creating solutions to single or multiple drive applications. The programming environment fully supports three industry standard programming languages: Function Block, Ladder and Structured Text. Motion is configured using PLCopen function blocks that support a master and slave axis configuration. 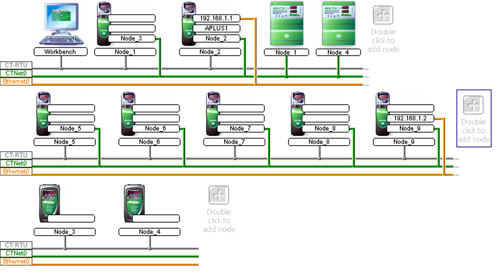 SyPTPro is also used to configure CTNet, a high speed drive-to-drive network that links together multiple drives, SCADA, operator panels and I/O to form an intelligent networked system. CTOPCServe is an OPC compliant server that allows PCs to communicate with Control Techniques' drives. The server supports communication using Ethernet, CTNet, Serial RS485 and USB. OPC is a standard interface on SCADA packages and is widely supported within Microsoft products. The server is supplied free of charge and can be obtained by clicking the download tab on this page. Control Techniques' software tools make it easier to access the drive’s full feature set. Our software allows you to optimize the drive tuning, back-up the configuration, configure the on-board automation and motion controller and setup the drive-to-drive communications links. The software packages connect using Ethernet, CTNet, Serial or USB connections. Ethernet communications allow the drives to be accessed remotely, anywhere in the world.